We bought it, we built it (with your help) and now we want to program it! 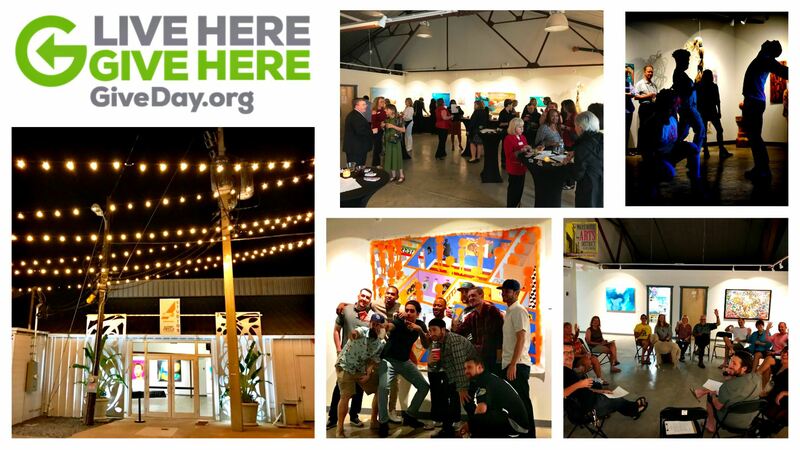 As you may know, in 2014, with the help of public and private donors, the Warehouse Arts District Association (WADA) purchased 2.7 acres of land known as the ArtsXchange, with the goal of providing affordable, sustainable studios. Roughly 16,000 square feet (out of 50,000 square feet so far) of interior warehouse space was converted into 29 art studios, a 1600 square foot gallery and 1,000 square feet of classroom space ready for educational programming. The studios are self-supported with stabilized rents at below market rate. 25 artists moved in October 2017. During Give Day 2018 (today through May 1st), we are now raising funds to…. Rehab a 2,400 square foot warehouse which will contain a professional dance studio with springboard floors, ballet bars and mirrors and classrooms. This will be a multi-use space for both ART and MOVEMENT and HEALTH! Improve our site location both in safety & in aesthetics (you’ve seen our parking lot and that ugly fence)! We also have the chance to win up to $8,000 in prizes! If we are the medium organization with the most unique donors between now and May 1st, premier sponsor The Brink Foundation and other supporting sponsors (Suntrust, AARP, and the Lightning Foundation) will award us $2,000! If we are the Small Arts and Culture organization with the most unique donors, The Gobioff Foundation will award us with $5,000! This means we would like you to SHARE THIS INFORMATION and spread the word! Use #GiveDayTB18 and #WADAGiveDay as your hashtags. Every unique donation of $5.00 and above counts regardless of the amount (although we’d appreciate as much as you can give). Thinking of donating more than $500???? Stay up until midnight on April 30th and donate that $500 at 12:01am. That's when our $500 matching grant goes live! The Community Foundation of Tampa Bay says that the first 50 nonprofits that secure and meet a matching donation of at least $500 on Give Day, MAY 1st, will be eligible for one of 30 prizes of $1,000. Winners will be selected at random so donate at midnight on May 1st to put us in the running! Our motto has always been: Where Art is Made and now that the studios and gallery are open we have expanded our service to the community.